Here is a novel illusion that everyone can experience when the jagged contours of skyscrapers appear against the cloudy sky: with the clouds still behind, the skyscrapers contours appear to bulge out and the effect magnifies when the clouds move. Most illusory distortions of parallel lines disappear if contours are jagged, but not our new illusion: we experience the “Skyscrapers and clouds” illusion because the visual system relies on local luminance contrast to code local tilts and positions along the contour bordered by a thin outline. The interesting thing about the Pinball Wizard illusion is that it breaks the ‘rules’. 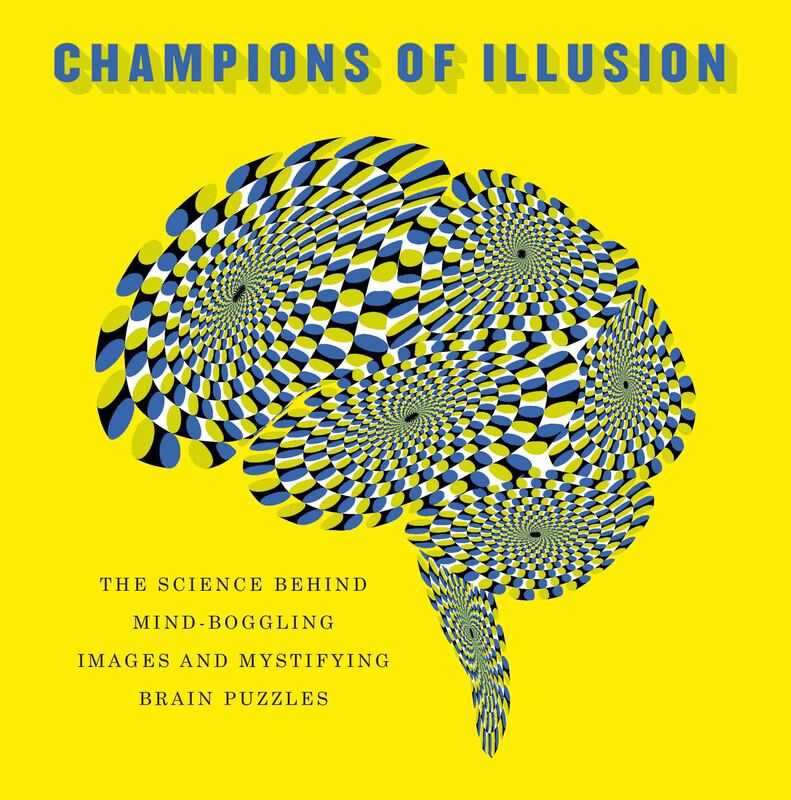 Whilst the classic Rubin Vase illusion demonstrates how we automatically segregate foreground and background in an image, in this illusion a single image is seen acting simultaneously as both, giving rise to an illusory sense of rotation. Using visual cues to create an impression of depth and carefully chosen colour values, a static screen is combined with an animation of horizontally traversing spheres. The screen appears simultaneously as background and as foreground surface on the spheres – inducing a sense of rotation as the spheres move. The illusion in the figure on the left consists of two sinusoidal gratings at 45° and 135° which combine to form a plaid. The contrast of this plaid is windowed by a perfect circle. Despite this, the percept is far from circular – rather, it appears octagonal with distinct sides. The percept is generated by attraction and repulsion of the circular envelope in the orientation domain by the sinusoidal carrier gratings. It relies upon the sharp transition between Fraser illusion (attraction) and Zöllner illusion (repulsion) at the knee-points of the octagon. Whilst the illusion is scale-invariant in that it does not change with viewing distance, if the scale of the carrier grating is lowered (Figure on the right) relative to the circle, the percept changes from an octagon to a diamond. This is well-predicted by the variation in the strength of the Fraser and Zöllner illusions as the relative spatial scale of carrier and envelope is varied (Skillen et al. (2002) Vision Research 42, 2447-2455). Fig. 1 and Fig. 2 show the same inducing pattern. However, if the blue lines in fig 1 are seen as donors, we can easily appreciate that when they give birth to two clones as in fig 2, these clones grow apart and they show a diametrically opposed inclination: convex lines become concave and concave lines becomes convex. A clone for each donor is sufficient to produce the effect.